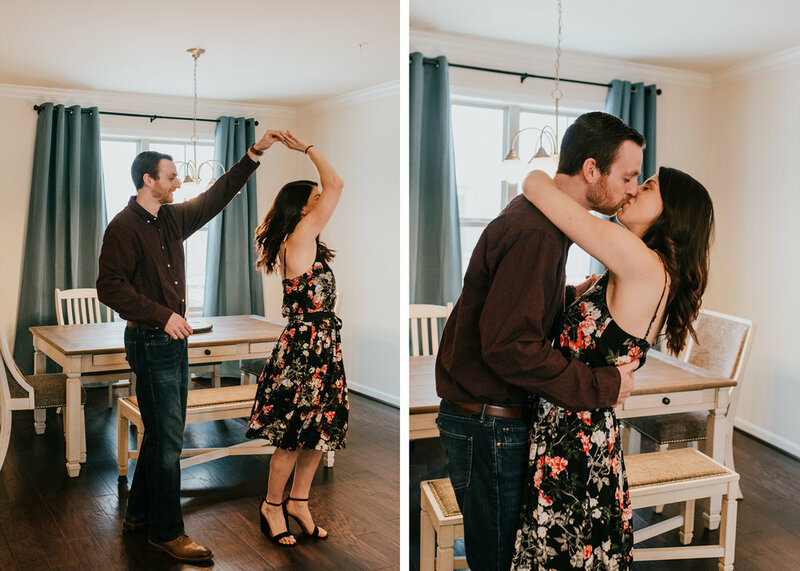 Jillian & Jon invited me into their adorable home to take their engagement photos with their sweet pup, Finley. 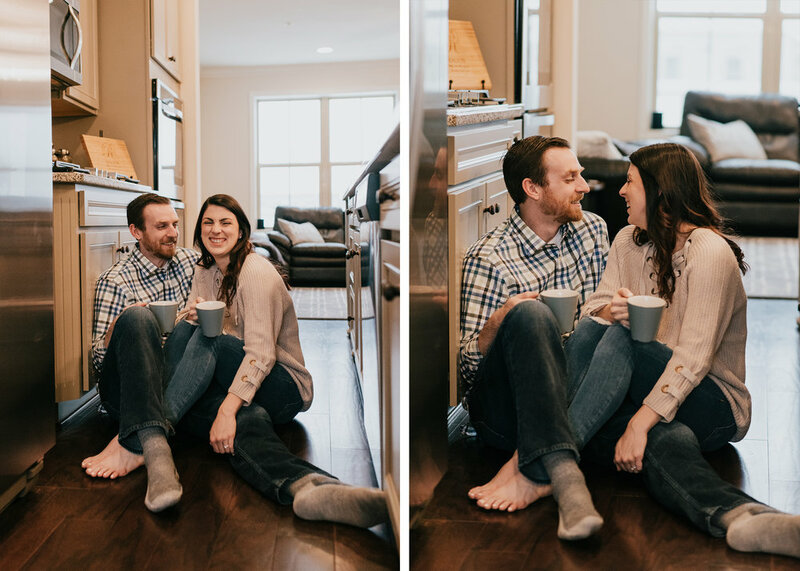 It was a super snowy day, which is a super good day for some cozy in home engagement photos! Y'all know I love in home sessions, and this was no exception! An afternoon filled with sweet kisses and puppy belly rubs is a good one in my book.